If you don’t know what Ganga means, good for you. It’s also known by the names, Mary Jane, Weed, Dope, Grass, Mary Jane & Reefer. If you still don’t know what I am speaking of…I am speaking of MARIJUANA. Marijuana has made its way into every facet of our lives whether we want it too or not. And yes, this includes the workplace. While the federal Controlled Substances Act (CSA), criminalizes marijuana, at least 44 states, including Nevada, have enacted medical marijuana laws purporting to legalize marijuana for medicinal use. Nevada’s medical marijuana statute decriminalizes medical marijuana usage and purports to create significant employee protections. Notably, this statute does not require any employer to allow the use or possession of marijuana in the workplace. The statute also does not require an employer to modify the job or working conditions of a person who engages in the medical use of marijuana that is based upon the reasonable business purposes of the employer. Nevada also recently joined the growing number of states that have decriminalized recreational marijuana usage. Nevada’s recreational marijuana law, however, provides no affirmative employment law protections. These developments have left both employers and employees in a haze of uncertainty regarding their rights and obligations to regulate and/or use marijuana in and outside of the workplace, with some employees mistakenly believing the decriminalization of marijuana invalidates employer policies prohibiting the use or possession of marijuana in the workplace. Some of that haze can be clarified, but some will remain until the Nevada Supreme Court provides definitive guidance. Nevada’s laws permitting marijuana for both medical and recreational uses make clear that employers can prohibit the use or possession of marijuana while on duty and in the workplace. Nevada’s Regulation and Taxation of Marijuana Act, regarding the legalization of recreational use, provides that the act does not prohibit an employer, “from maintaining, enacting, and enforcing a workplace policy prohibiting or restricting actions or conduct otherwise permitted under this chapter.” NRS 453D.100(2). Likewise, in 2013 the Nevada Legislature clarified that Nevada’s medical marijuana legislation does not require an employer to allow medical use of marijuana in the workplace. NRS 453A.800(2). Nevada’s decriminalization of the recreational use of marijuana did not in any way impact Nevada employers’ ability to maintain substance abuse policies, including those that call for the termination of employees testing positive for marijuana. Employers that maintain policies prohibiting the use or possession of marijuana in the workplace, or being under the influence of marijuana in the workplace, remain free to enforce those policies and take disciplinary action against employees violating those policies through recreational use of marijuana. Two important issues related to marijuana usage by employees in Nevada remain less than clear. First, it is unclear whether NRS 613.333 protects employees’ lawful, off-duty use of marijuana, both medical and recreational. That statute makes it an unlawful employment practice for an employer to refuse to hire an applicant or to terminate or discriminate against an employee because the employee “engages in the lawful use in this state of any product outside the premises of the employer during the employee’s nonworking hours, if that use does not adversely affect the employee’s ability to perform his or her job or the safety of other employees.” Nevada attorneys practicing in the area of employment law continue to debate whether this statute prohibits the termination of an employee for off-duty use of marijuana, largely focusing on the meaning of the “in this state” language in the statute, given that marijuana remains illegal under federal law. For Nevada employers, until this issue is definitively resolved there will be some risk associated with the termination of an employee for off-duty use of marijuana. 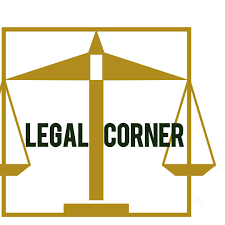 The second issue that remains unclear arises from an employer’s obligation to accommodate medical marijuana usage in Nevada as required by NRS 453A.800. Significantly in July 2017, in the first case of its kind nationwide, Barbuto v. Advantage Sales, 2017 Mass. LEXIS 504 (Mass. 2017), the highest court in Massachusetts determined, though the state medical marijuana law provided criminal protections only, a cause of action was available for disability discrimination under state law for employees using marijuana lawfully. Employing workers in safety-sensitive positions that use medical marijuana. Employers struggle with these issues because the appropriate course of action for an employee often depends upon whether the employee’s medical marijuana usage results in the employee being impaired at work.